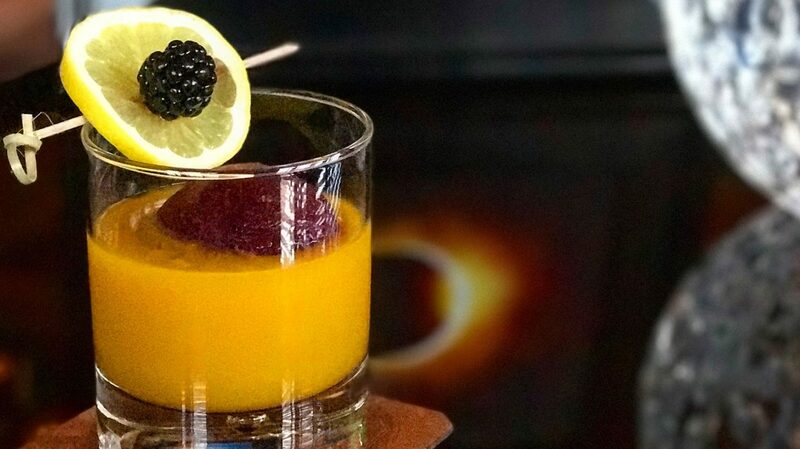 The Eclipsed by None cocktail is transformed as its spicy pomegranate ice ball melts. As any good bartender knows, the ice you use for cocktails should never be an afterthought. 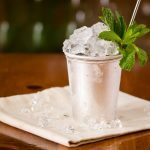 Ice not only chills your drink, it dilutes the alcohol, and using low-quality water or the wrong size cubes can ruin an otherwise carefully crafted cocktail. But H2O isn’t the only way to go. 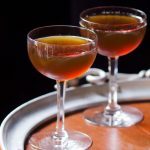 You can create boozy ice balls to keep your cocktail cold without diluting it as much—plus you get to enjoy two drinks in one. 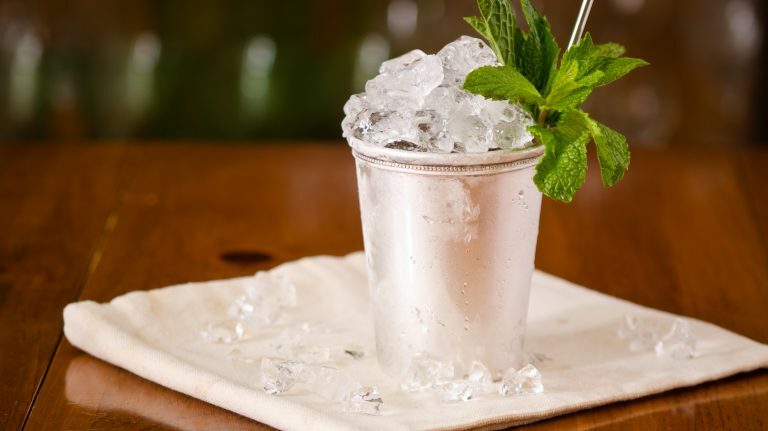 The key to making boozy ice cubes is adding enough water to lower the ABV, because water freezes at 32˚F while ethanol freezes at a much lower temperature—about -174˚F. 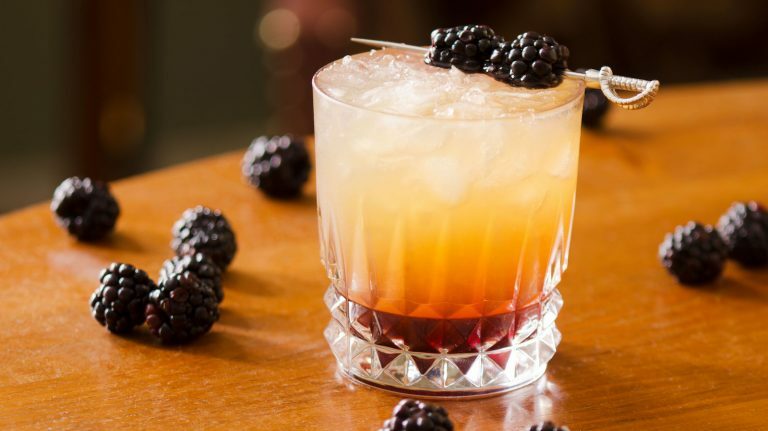 Many bartenders find it easier to work with lower-ABV liqueurs and cordials when spiking ice cubes. “I find somewhere around 8% to 12% ABV to be ideal for my needs,” says mixologist Jacob Tschetter, who formerly worked at The Jeffrey in New York City and is currently a brand associate for Hudson Whiskey. Tschetter uses the formula A1V1 = A2V2, where A is alcohol content and V is volume. 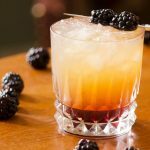 If you want to dilute a 20% ABV liqueur (A1) to 10% ABV (A2) and the final volume (V2) is 4 ounces, start with 2 ounces liqueur and add 2 ounces of water, juices, or other liquids to freeze with it. Once you figure out the math, “the only real limit is your imagination,” Tschetter says. Play with different ingredients in your ice balls and use them in different drinks, keeping complementary flavors in mind. Think rye or bourbon with an absinthe-laced ice cube, or a classic margarita with a spicy watermelon cube. Or save yourself the math and experimentation and just try these recipes. 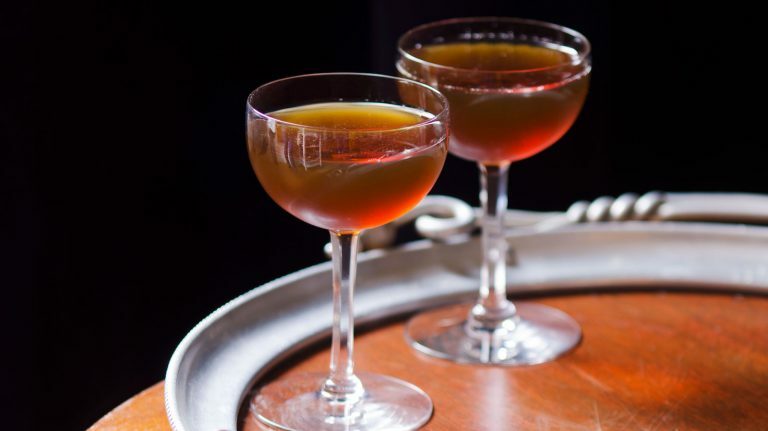 Watch your cocktail transform over time from a Manhattan to a Boulevardier as the ice melts. The ice sphere here cools your drink, infuses new flavors, and acts as garnish as well.